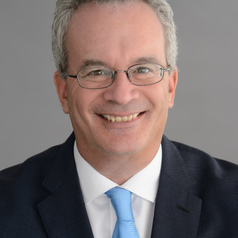 James Goldgeier is professor of international relations at the School of International Service at American University, where he served as dean from 2011-2017. He is also a Visiting Senior Fellow at the Council on Foreign Relations. He served as president of the Association of Professional Schools of International Affairs from 2015-17. Previously, he was a professor of political science and international affairs at George Washington University. He also taught at Cornell University, and has held a number of public policy appointments, including Director for Russian, Ukrainian and Eurasian Affairs on the National Security Council Staff, Whitney Shepardson Senior Fellow at the Council on Foreign Relations, Henry A. Kissinger Chair at the Library of Congress, and Edward Teller National Fellow at the Hoover Institution. In addition, he has held appointments at the Woodrow Wilson International Center for Scholars, Brookings Institution, and the Center for International Security and Cooperation. From 2001 to 2005, he directed George Washington University’s Institute for European, Russian and Eurasian Studies. He has authored or co-authored four books including: America Between the Wars: From 11/9 to 9/11 (co-authored with Derek Chollet); Power and Purpose: U.S. Policy toward Russia after the Cold War (co-authored with Michael McFaul); and Not Whether But When: The U.S. Decision to Enlarge NATO. He is the recipient of the Edgar S. Furniss book award in national and international security and co-recipient of the Georgetown University Lepgold Book Prize in international relations. He is co-director of the Bridging the Gap project, which encourages and trains scholars and doctoral students to produce research oriented policy-relevant scholarship and theoretically grounded policy work.